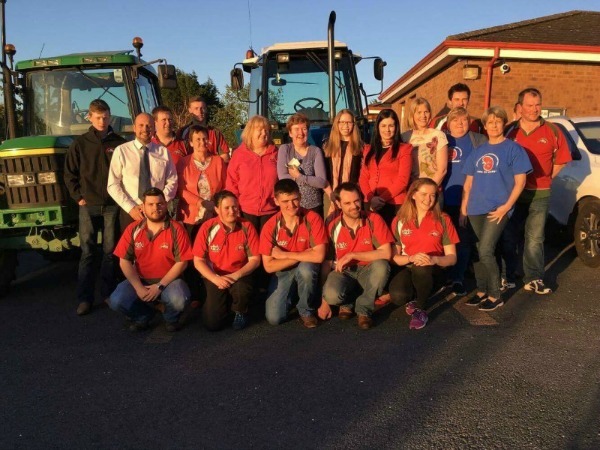 Tuesday May 16th was a special night in the Artana YFC Calendar, it was the 2nd ever prize giving night for Artana Young Farmers Club. This year they wanted to make things extra special and so to coincide with the 30th Anniversary of their Annual St Trinians event, the club decided to donate a whopping £30,000 to some charities and organisations that mean a lot to the club and to the local community. In attendance and receiving donations were Gaye Kerr from Angel Wishes, Hazel Gibson from Northern Ireland Children's Kidney Fund, Rachel Kerr from Cystic Fibrosis at the Royal Hospital for Sick Children, Maureen Keaney from PIPS Newry and Mourne, Ena McNeill from Fairhill Primary School and Mr Armstrong from Dromara Primary School. Artana YFC is proud to support these fine organisations and the committee and all the club members thank them for they work they do and for everyone who makes Artana YFC and our St Trinians night a success year after year. PIPS Newry and Mourne would like to express sincere thanks to the members of the Artana Young Farmers Club and to all who supported their event for such a generous donation.